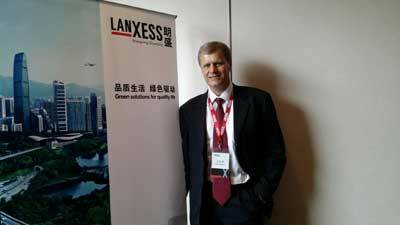 With the global automotive market demand mainly driven by China, which has accounted for nearly 35% of global light vehicle sales in 15 years, it is little wonder that speciality chemicals firm Lanxess is rooting for business in China/Asia. In fact, in 2015, its sales in China represented nearly half of the total in Asia Pacific. 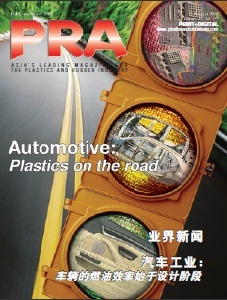 “We were successful last year, and this year has started promisingly, driven by the Chinese automotive market,” said Milan Vignjevic, Head of Sales & Marketing for High Performance Materials (HPM) in Asia Pacific, speaking at the recent Chinaplas show in Shanghai. “The IHU technology provides excellent stiffness and strength, against side impact, while the injection moulded Durethan is filled with 60% glass fibres and is an ideal choice for metal-plastic replacement,” said Milan. The first use in the automotive industry is for a front end and instrument board carrier in Mercedes-Benz A-Class and B-Class models. As well, the recent megatrend of engine downsizing and turbocharging has caused increasing thermal stress to components in the air management system. Thus, Lanxess offers Durethan XTS (Extreme Temperature Stabilisation), which elevates the continuous service temperature of PA6 and PA66 up to 200°C, while retaining the mechanical properties. It can be an alternative to high-temperature polymers such as PPA or PPS and is typically applied in air intake manifolds with integrated intercoolers or charged air ducts. Another technology that has established benchmarks in lightweight structures is the plastic-metal composite or hybrid technology. “This technology does an excellent job of uniting the weight reduction associated with plastics, and retaining the stability properties of metal. To date, roughly 100 different models of series production vehicles from leading automakers are using this technology,” said Milan. Yet, another technology is Tepex fibre-reinforced thermoplastic composite sheets, with the company “flooded with enquiries” in Asia, according to Milan. “Despite its very low weight, Tepex combines impressive stiffness with outstanding strength. Benefiting from short cycle times and reproducible processes, it can be turned into 3D components with great cost-efficiency,” he adds. The first use was in brake pedals and more recent applications include seat pans, front end and rear bumpers. A recent example is a hybrid-moulded rear bumper beam for Honda’s FCV (Fuel Cell Vehicle) that features Tepex with Durethan PA6, and is made using a one-shot moulding technology. Tepex sheets are produced by subsidiary firm Bond Laminates in Brilon, Germany. With its focus on the automotive market, after China, South Korea is the next largest market for sales of engineering plastics, said Milan. “Leading OEMs are embracing lightweight structures and we have a few projects in hand there,” he added. The markets in China/Asia are supported by the firm’s compounding capacity of 60,000 tonnes of PA and PBT in China; 20,000 tonnes compounding capacity in Jhagadia, India; R&D testing centre in Wuxi, China, and an Application Development Centre (APDC) in Hong Kong. The APDC, which is dedicated to automotive parts testing, is constantly being updated, according to Milan. “We were the first ones to have this type of centre in Asia and are committed to upgrading equipment and software. It is very busy,” he explained. With China accounting for just 10 kg use of engineering plastics in a car, compared to 25 kg in Europe, Milan says Lanxess is on the right path to further growth in the region. The first quarter sales in the HPM segment declined by 7% due to lower selling prices, says Lanxess. 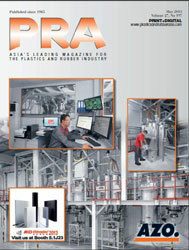 But EBITDA pre exceptionals saw an increase of 52% to EUR38 million, mainly attributable to the positive development of the engineering plastics business and, the company says, the strategic focus of on high-performance plastics is paying off.